With NATO forces gradually withdrawing from neighboring Afghanistan, Central Asian leaders are increasingly concerned that militant groups linked to the Taliban will move north through Tajikistan to attack and destabilize the region. The group calling itself Jamaat Ansarullah released a threat against government forces and non-believers in a 15-minute video of a bearded man wearing Afghan-style clothes and speaking in Tajik earlier this month but local media only reported it on [Sept. 16]. “Those people who pray and fast but are advocates of democracy are non-believers,” the man is quoted as saying by local media. This is the second Islamist threat against Tajikistan this year. In April a different group released a statement with a similar message. The government has been fighting a growing insurgency for the past year but analysts have said has not managed to stem fighting. A Swedish cartoonist who has received death threats for depicting the Prophet Mohammed as a dog was the target of a planned attack in Gothenburg earlier this month, according to reports. The daily Metro said it had obtained classified documents that showed the prosecutor believes three men [originally from Somalia and Iraq] arrested on September 10 had planned to kill cartoonist Lars Vilks. The Swedish prosecutor’s office refused to comment on the report. Vilks had initially said on his blog that he would attend the art fair though he did not in the end. One of the suspects had bought a pocketknife to be used in the attack, and one of the men had asked for Vilks at the art fair, according to Metro. Vilks told Swedish news agency TT he had been unaware of that information, but said he had cancelled an forthcoming appearance at the Gothenburg book fair on Friday. “I heard that information on TV this morning. I have not received that information personally,” he said. Police initially said the four were suspected of plotting a terrorist attack, but when the prosecutor asked the court to remand them in custody it was on suspicion of planning a murder. Vilks has faced numerous death threats and a suspected assassination plot since his cartoon was first published by a Swedish regional newspaper in 2007, illustrating an editorial on the importance of freedom of expression. LAMPEDUSA – Eleven people have been injured after Tunisian [migrants] clashed with riot police on the Italian island of Lampedusa after hundreds of Tunisian protesters burned the [migrant] center down. The devastating fire started on Tuesday night [Sept. 20] when the [illegal immigrants], protesting against their immediate repatriation, allegedly set fire to their bed mattresses. The blaze reduced much of the…center to a smoking ruin. On Wednesday violence broke out between riot police and refugees on the island. Three Italian Carabinieri [military police], a policeman and seven Tunisians have been injured. The fire dealt a heavy blow to Italy’s ability to deal with a continuing flood of refugees from North Africa in the wake of the popular revolts in Tunisia and Egypt and the civil war in Libya. More than 48,000 have reached the shores of southern Italy since the start of the year. Many of the 1,200 migrants held in the center fled when three fires broke out late on Tuesday. As police stationed on the island rounded them up, the fires blazed out of control and destroyed three buildings in the complex. The fires were allegedly lit deliberately by Tunisians protesting against their imminent return home, having been ruled to be economic migrants rather than bona fide asylum seekers. The mayor demanded that Italian navy ships be sent to the island “immediately” in order to transfer the migrants to camps in Sicily and the mainland. He [also] said police and paramilitary Carabinieri officers should have responded to the arson much more forcefully. b) When did Lars Vilks draw the cartoon of Mohammed? c) When do you think the attempts on Mr. Vilks’ life will stop? b) What is the population of Lampedusa? c) How many migrants from Tunisia and Libya have arrived in Lampedusa this year since the beginning of the Arab revolts? d) Asylum is defined as: “protection or safety, especially that given by a government to foreigners who have been forced to leave their own countries because of religious or political persecution.” The majority of Tunisians are protesting against the news that they will be sent home. Why isn’t the Italian government giving them asylum? e) Consider the population of Lampedusa and the number of migrants who have come there this year. Consider the plight of the men who are desperate enough to burn down the only shelter they have. Which authority do you think should bear the responsibility for helping/returning the Tunisians to Europe or to Tunisia: the mayor of Lampedusa, the Prime Minister and/or President of Italy, or the European Union as a whole? Explain your answer. It is reported in the video that currently the [jihadists] of Jamaat Ansarullah are on the territory of Tajikistan and ready to act. The [terrorist spokesman] also said that their call for armed struggle is not emotional or inter-ethnic strife, and not a struggle for power. According to them, they intend to achieve to establish Sharia law in Tajikistan. 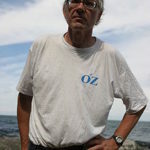 In March 2010, seven Muslims were arrested in Ireland over an alleged plot to kill Lars Vilks, the cartoonist who depicted the prophet Mohammed with the body of a dog. Al Qaeda put a $100,000 price on Lars Vilks’ head after his cartoon was published in a newspaper in 2007. Some $50,000 was also put up for the murder of the editor of Nerikes Allehanda, the newspaper that printed the cartoon. At the time the pictures were published protests were sparked all over the world, including in the Swedish town of Orebro, where the paper is based. The Swedish prime minister was even forced to hold talks with ambassadors from 22 Muslim countries to ease tensions over the drawings. A Mediterranean island closer to Africa than the Italian mainland, Lampedusa has been overwhelmed this past spring by thousands of Tunisians fleeing unrest during the social upheaval at home. Tensions flared occasionally, particularly when the holding center became overcrowded. The center is designed to hold about 850 people but it now holds up to 1,300. Some 26,000 Tunisians and 28,000 people of other nationalities from Libya have arrived in Lampedusa this year since the beginning of the Arab revolts. 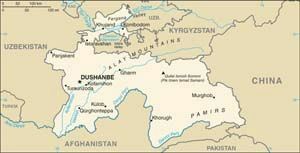 TAJIKISTAN: For background on Tajikistan, go to the U.S. State Department website at: state.gov/p/sca/ci/ti.